Alan Dawson, Dave & Jack Six performing "Light In The Wilderness"
Dave had been stockpiling ideas for long-form classical compositions and had worked on some of them off and on for years. He needed extended periods to bring them to fulfillment. 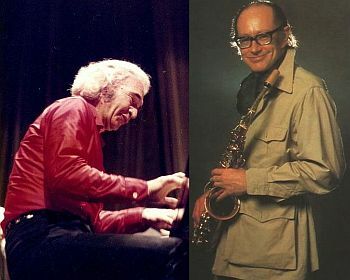 Concentrating on these big works, Brubeck produced his first oratorio The Light In The Wilderness (1968), followed by The Gates Of Justice (1969) and Truth Is Fallen (1972), all recorded. In 1974 when I visited the Wilton Hilton, the Brubecks were preparing material for a world tour. In an interview that appeared in the magazine Different Drummer, long since defunct, Dave told me, "I'm just a side-man. I do what the kids tell me." The progress of the rehearsal suggested otherwise; leadership dies hard. The tour was a success. 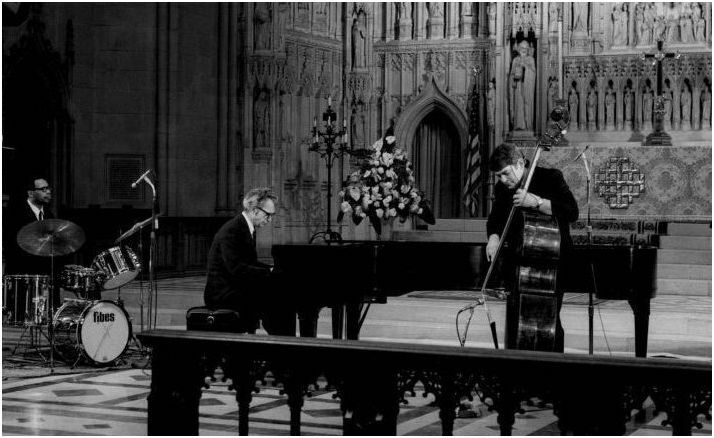 Dave has performed ever since with various combinations of his progeny, and now among them the youngest, Matthew, a cellist (Quiet As The Moon Music Masters 65067). 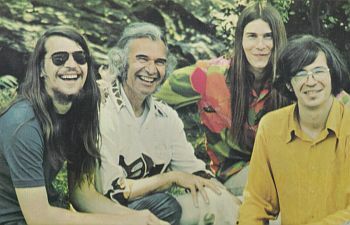 Before they parted, Morello extracted a promise from Brubeck that they would all play together again. But before a projected tour of Europe could be planned, a medical checkup for a minor complaint uncovered the devastating fact that Desmond had lung cancer. Chemotherapy showed no effect against the disease and caused side effects Paul was unwilling to endure. He led as normal a life as possible under the circumstances. 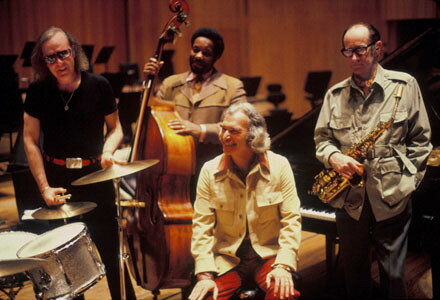 He went on tour with the Brubeck family group, even joining them in Mexico. His last concert was with the Brubecks at Avery Fisher Hall in New York City, February 4, 1977. He even recorded on a Chet Baker date a few days before his death. Brubeck says Morello was devastated. "Toward the end of Paul's life, Joe was so torn up by his being ill," Dave says. "He insisted that one of his drum students stay with Paul and look after him." 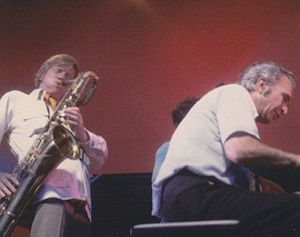 The student, Steve Forster, had also helped Morello through his crisis.Charles Mingus, Desmond, and Brubeck remained friends. Mingus sat at Paul's bedside in May of 1977 when Desmond was dying. Once, as he awakened, he saw Mingus, a massive figure in his black hat and cape, looking down at him. Nat Hentoff told the story in the Village Voice:"Paul, his eyes opening, struggled to focus on the apparition and then, sorting through memory, found the hooded harvester in The Seventh Seal.’Okay,' Paul said to Bradley Cunningham, who was standing near his bed, 'set up the chess board. '"And grinned." Paul died on Memorial Day. He was 52. Whenever we talk, Dave says, "Boy, I sure miss Paul Desmond." 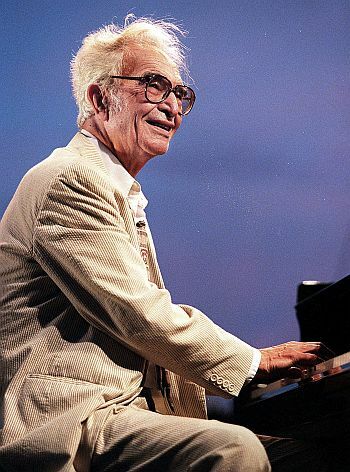 At the annual Memorial Day family gatherings at the Wilton Hilton, much of the conversation, and the laughter, concerns Paul, his wit, his kindnesses, his enigmatic comings and goings, how the Brubeck kids thought of him as Uncle Paul. Boy, I sure miss Paul Desmond.